Read for a good cause! Buy books at a charity shop, or, even a friends of the library book sale, or, donate a certain percentage of money for each book you read for the challenge. 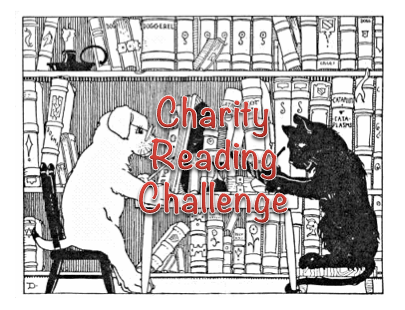 You can choose your own goal of how many books to read, what charity you'll be donating money towards, how much money, etc. (For example, you might want to donate $1 for each paperback you read, or, $3 for every hardback you read. You can work out the details yourself.) For full details click on link above. Last year I read much more than 12 from my Friends of the Library (FOL) and charity sale books, but given the number of challenges I've signed up for (and I could have sworn that I already signed up for this one for 2019), I'm just going to commit to 12 again. In addition to reading books that I had already bought in support of the library or charity, I also spent $169.39 on new books from those sources--most of that went towards the Hoosier Hills Food Bank community book sale. Let's see how much I give to charity this year in exchange for good books.